Onward through Tales of the Fairies Week with this fun gem that features fairies changing character abilities as fast as they can change clothing. Nope, not even kidding a little bit. It’s fantasy fae mischief as one never-ending costume party. Costume Fairy Adventures is one of those “fun for everyone” games, clearly – kids, kids-at-heart, and anyone who thought putting on a costume should come with extra awesomeness. Welcome to Costume Fairy Adventures, a game about fairies. In costumes. Having adventures. 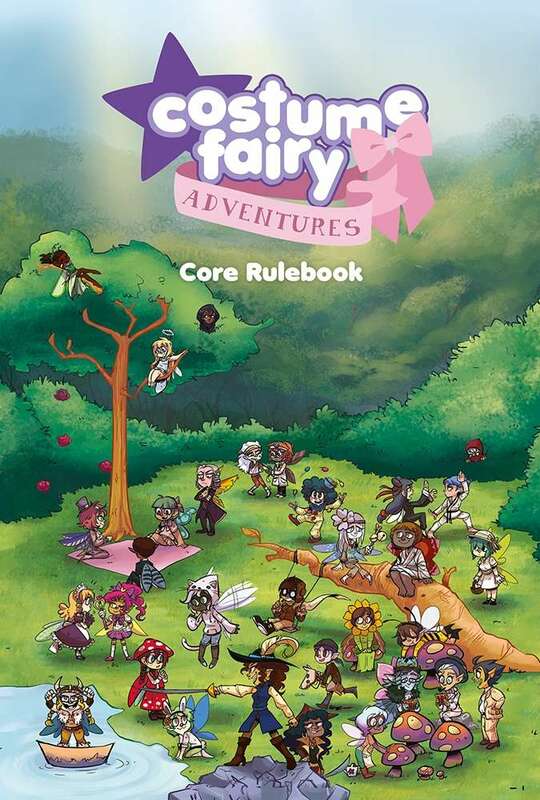 From enchanted forests to star-faring spaceships, and even to your own backyard, fairies can be found just about anywhere – and where fairies go, shenanigans are sure to follow! 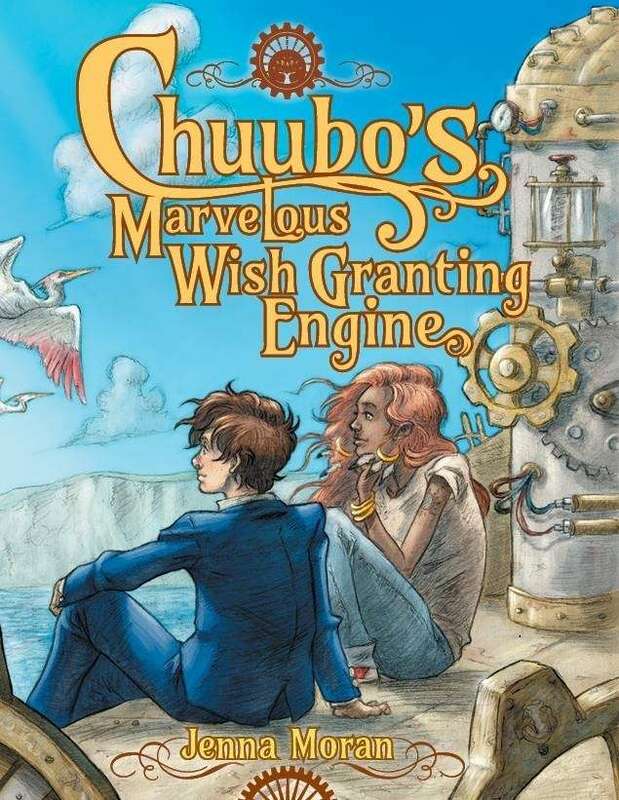 Drawing magic from the power of mischief, fairies can turn the world upside-down with whimsical wishes and preternatural pranks – and when their usual tricks aren’t enough, new talents are only a change of clothes away. Costume Fairy Adventures is an improvisational roleplaying game for 2 to 7 players. Gather your friends and a handful of six-sided dice and take on the role of a fairy of your very own. With lightning-fast character creation, over 100 ready-to-wear costumes courtesy of the Core Costume Deck, and a whole passel of pregenerated pranking patsies – including fuddled philosophers, solicitous spiders, and gnefarious gnomish gnecromancers – you’ll be ready for mischief in mere minutes. * The indicated items are also available for download from the Penguin King Games website at www.penguinking.com. My friend Lana Smith (AKA Alana Smith-Brown) was asking about fairy-tale oriented games, and thus was launched a Pick of the Day theme week! 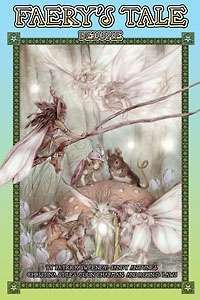 Kicking off Tales of the Fairies Week is this foundational entry from Green Ronin Games. Faery’s Tale Deluxe takes the alternate spelling popular among gamers and runs off into full-bore “play all the faeries” territory with a complete game system customized for the experience. This is a full-on update and expansion of the highly-nominated original. Information on faeries, faery lore, and the fairy-tale realm of Brightwood! Easy rules for creating and playing your own faeries! Seven titles to which faeries can aspire, from knight to faery princess! 35 fairy-tale creatures, from bumblebees to dragons! Over 15 sidebars with tips on playing with kids! The original edition of Faery’s Tale was nominated for an Origins Award and three ENnie Awards. This new deluxe edition include the entirety of the original game, plus 32 pages of new material. The realm of Brightwood awaits! 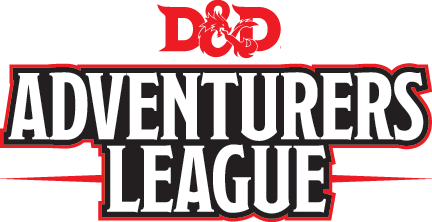 Closing out Adventures in D&D Week with the Dungeons & Dragons Adventurers Guild on the Dungeon Masters Guild seems like the perfect way to end your journey in search of 5e adventure support. These are all the adventures folks have played or are playing around the world as a shared experience with fellow D&D fans, and it all flows through the official Wizards of the Coast filter. Thus, quality control and organically stitched together meta-plots galore! Note there are hundreds of adventurers available for you via this channel alone, so you are set for a whole lot of D&D campaigning! 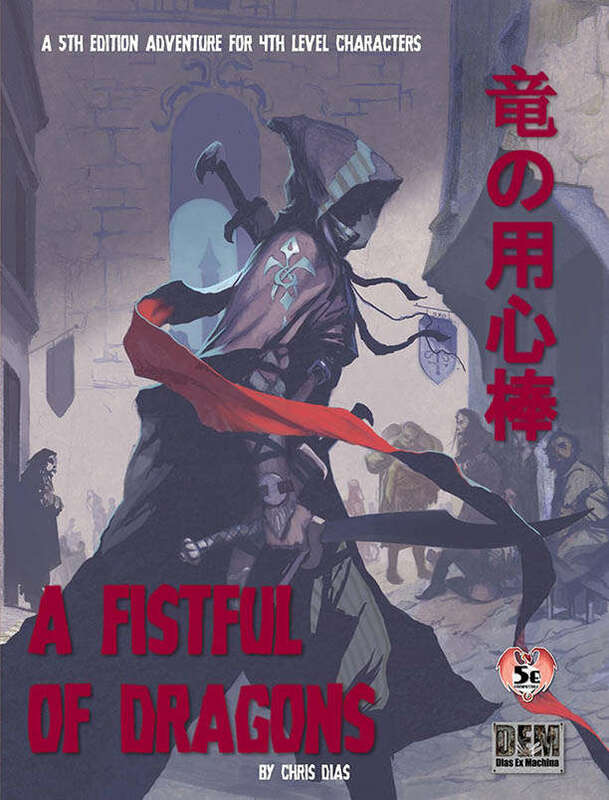 Kobold Press is another company doing lots of cool stuff for the 5th Edition era, making them a solid choice for today’s Adventures in D&D Week Pick. My focus is on the rather brilliant product idea of having a set of one-shot and mini-adventures ready for when your group of heroes wander off your carefully laid-out path. Alternately, these can be great instigators to new campaign directions, or a really solid way to insert the Plot Point Campaign structure Pinnacle developed to your 5e gaming experience. 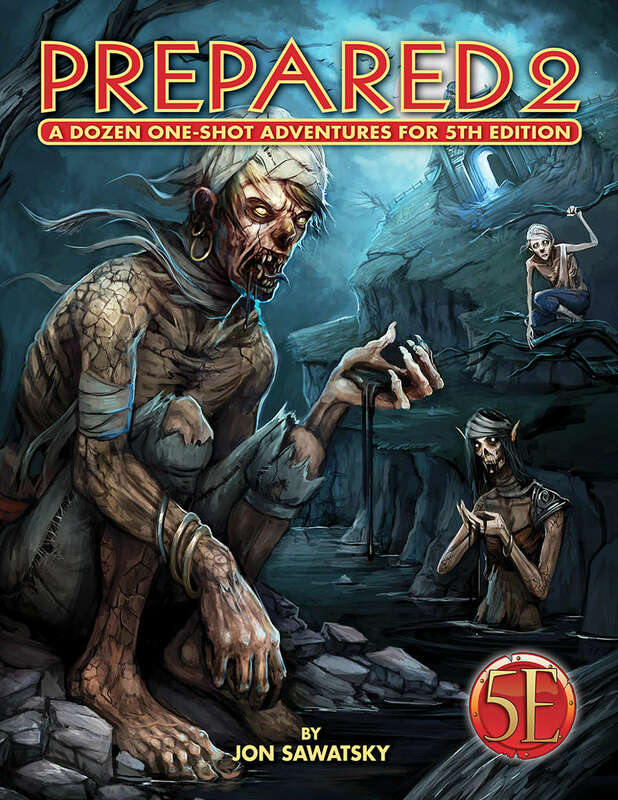 Prepared 2 is the solid follow up to the very successful Prepared! from 2016. So, your players went off on a tangent again? NOTE: The Prepared 2 PDF includes separate player maps without numbers or labels. Here in the middle of Adventures in D&D Week, let’s take a look at the “A Series” published by Troll Lord Games. Great folks publishing high-quality stuff (including their extremely popular Castles & Crusades OSR system), they delved into the 5th Edition era with a line of classic-style modules. 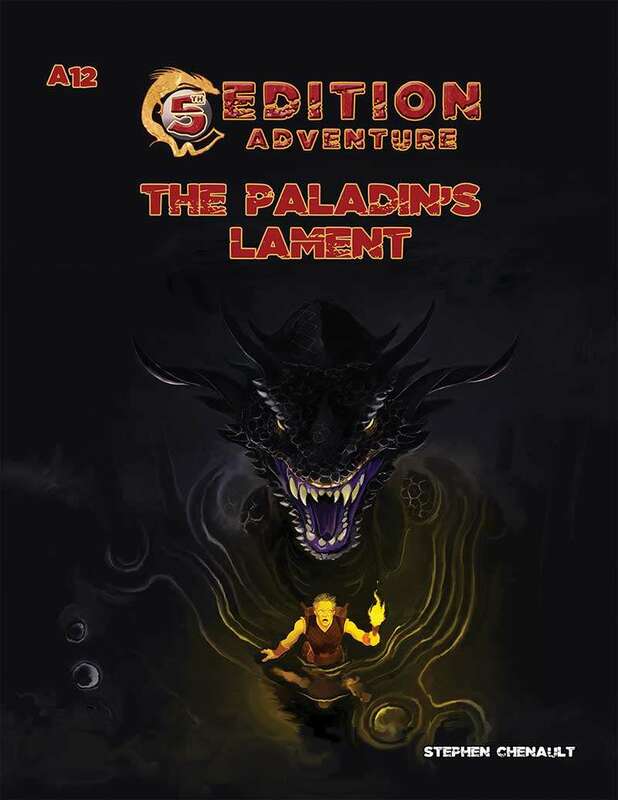 It all began with the highly-rated A1: Assault on Blacktooth Ridge, and now we have the latest in that series – A12: The Paladin’s Lament. Anyone wanting a fully-fleshed out and compelling campaign to try their hand at running in 5e should check this out. Gonna try and stay with 5e products for my Adventures in D&D Week, and this one is an official joint from the Wizards of the Coast themselves. Set in one of the most well-known city regions in D&D history (thanks to some pretty great computer games), Murder in Baldur’s Gate comes from the era in which the Great Transition between 4th and 5th Editions occured. It features a lot of story-driven experiences and roleplay within the structure of the organized play module releases. Duke Adrian Abdel is a living legend in the city of Baldur’s Gate, and much of the city has gathered to celebrate him and his accomplishments. On tis day of festivities, though, the dukes past will finally catch up with him, with dire consequences. Murder ha returned to Baldur’s Gate, and brave heroes are the city’s only hope to stop the violence. “Murder in Baldur’s Gate” (2013), by Ed Greenwood, Matt Sernett, and Steve Winter, is the adventure for Season 15 of D&D Encounters. It was released for play in August 2013. Continuing the Encounters. The fifteenth season of Encounters began on the weekend of August 17th with a special “launch weekend”. Participating stores got a 16-page adventure that contained an expanded version of the first week of play as well as player maps, NPC cards, and Bhaal d20s. Because the launch weekend coincided with Gen Con, Wizards was also able to run the event at the con, spotlighting the Encounters program at the world’s largest roleplaying convention. Meanwhile, selling this season of Encounters also offered some benefits. First, it gave D&D some much needed attention on gaming store shelves during a year where Wizards’ schedule was otherwise filled with reprints of classic rule books and adventures. Second, it allowed Wizards to produce a much more comprehensive supplement. Instead of just producing an episodic adventure, Wizards published “Murder in Baldur’s Gate” as a folio that contained a 64-page setting book, a 32-page adventure book, and a four-panel Baldur’s Gate GM screen. Encounters GMs were saddened to see that cards and other accessories that had been common in previous Encounters adventures were absent, but of course the economics for mass-producing an adventure were very different from making it available on a limited basis. Besides the core folio, Wizards also produced three additional “Murder” books: the 16-page “Launch Guide” was initially shipped to stores, but then made available as a PDF. In addition, a 10-page “Events Supplement” PDF provided more adventure and a 24-page “Monster Statistics” PDF gave GMs the stats they needed to play. 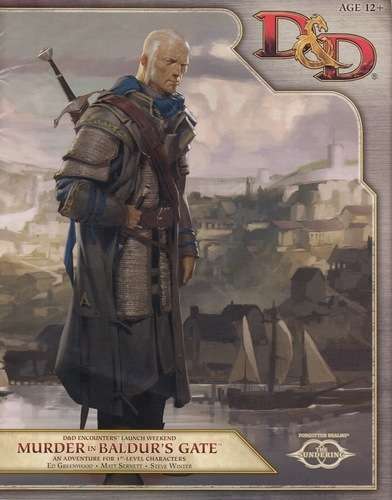 Though it was produced differently from previous seasons, “Murder in Baldur’s Gate” otherwise matched the traditional format for Encounters play. That meant that it was for levels 1-3 (after a few seasons that were a little higher in level). It also meant that individual sessions were designed for just 1-2 hours of play (though those sessions was much of a free-wheeling sandbox than before). “Murder in Baldur’s Gate” was the Fall 2013 Encounters season, running for 12 weeks from August 21, 2013 to November 13, 2013. This followed a week of character generation on August 14 (and the special August 17-18 launch weekend)… (Hit the link for much more information). PS – Take a look at the “Publisher’s Note” at the bottom of the description. That kind of foresight and honesty is what makes for a good publisher. It’s also really smart, as it cuts off nitpickers at the pass. The town of Miasto is not a destination. It won’t lead to an epic quest or forge long-standing relationships. It certainly won’t be a place to settle down in. But it could just be the right place at the right time for strangers to make difference. In a town absent of leadership, corrupt guilds have employed coercion, theft, and violence to increase power. Adventurers arrive amidst growing tension and meet a simple merchant with an equally simple task—return stolen property and perhaps avert a war in the streets. But in a town full of charlatans, murderers and thieves, who does one trust? A 5E adventure intended for 4-6 characters of 4th level, this adventure employs more stealth and trickery than direct combat. PUBLISHER’S NOTE: Although being listed at 62 pages, this adventure intentionally repeats monster entries for each encounter, repeating again with the appendix. As such, this adventure is closer to 50 pages. We started with fantasy, and we will end with fantasy as we close out Guiding the Players Week. As OSR (Old School Revolution) games go, Castles & Crusades is one of the early front-runners and remains a highly popular iteration. The Troll Lord gang (seriously nice bunch of people!) have hit their 7th Printing of the game, with all the fine-tuning that comes with it. This is one of those “all you need to play” players guides, with the necessary focus on character creation and player experience to qualify it for the theme this week. 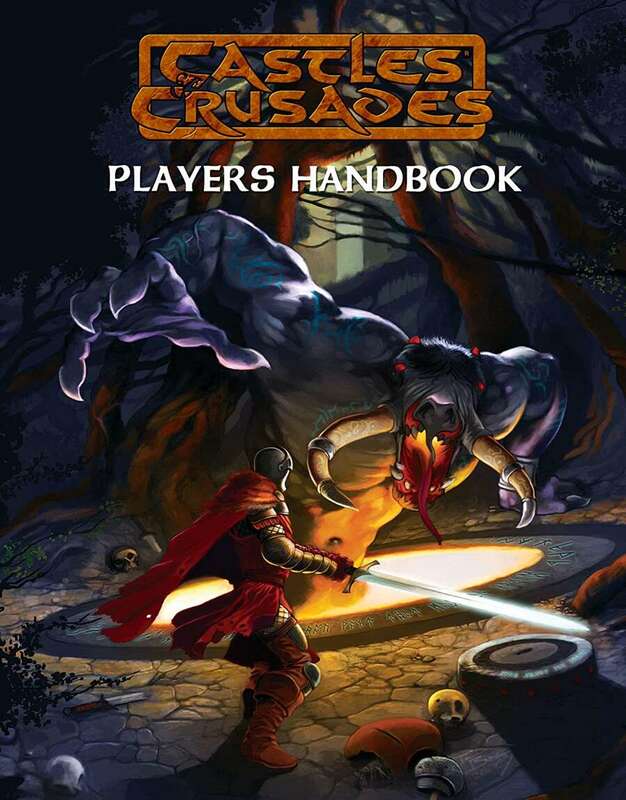 We’ve moved to the 7th printing of the Castles & Crusades Players Handbook. A pillar of the table top RPG industry, Castles & Crusades embodies the spirit of the old-school gamer with the easy to use modern mechanics. The Players Handbook has all you need to get started in a wild ride of adventure! One of the most popular Lovecraftian-themed settings has one of the most popular player-facing guides there is, which is the focus of today’s entry in our Guiding the Players Week. The Delta Green: Agent’s Handbook does all the things you might hope for in such a guide – guide you in making the character you want; teach you about the setting and your likely place in it; explain to you how key rules and systems work so you can get the most out of the experience. At the same time, it does all this with the clean, sharp, evocative award-winning writing that the Delta Green line has always been known for. Rules for tense, fluid investigations. Players who use their agents’ skills in clever ways have the best chance to succeed — and survive. Mind-melting Sanity rules that see agents gradually deteriorate — and sometimes snap. Rules for “home” scenes where players see what their agents are fighting for. 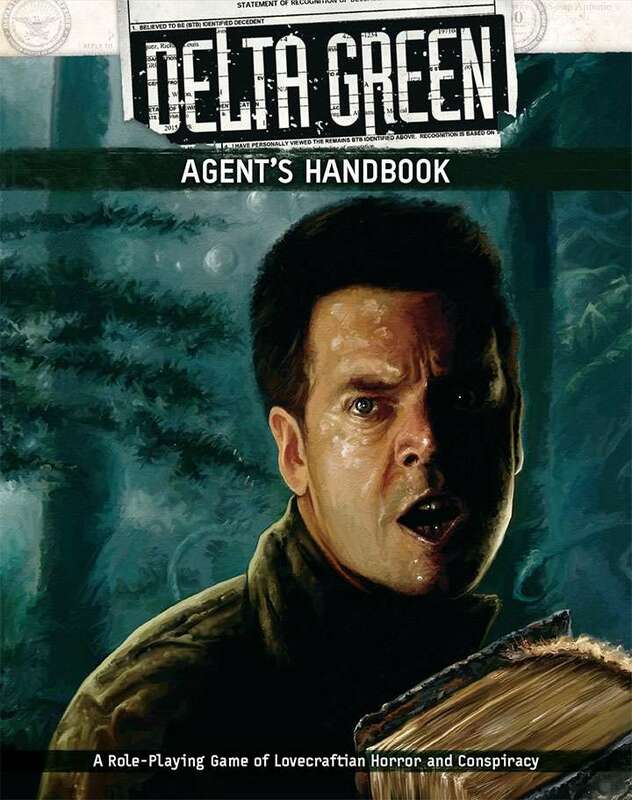 Further terrors can be found in the forthcoming core rulebook of Delta Green: The Role-Playing Game, which will include everything from the AGENT’S HANDBOOK and massive resources just for the Handler.